Christmas may have passed, but the holiday spirit is still thriving here at A.C.T. 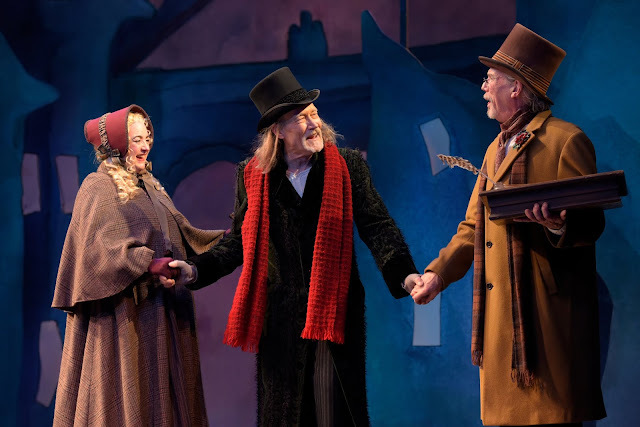 Many members of the A Christmas Carol cast and crew have made this performance an integral part of their holiday tradition, including actor Sharon Lockwood, who plays Mrs. Dilber and Mrs. Fezziwig. 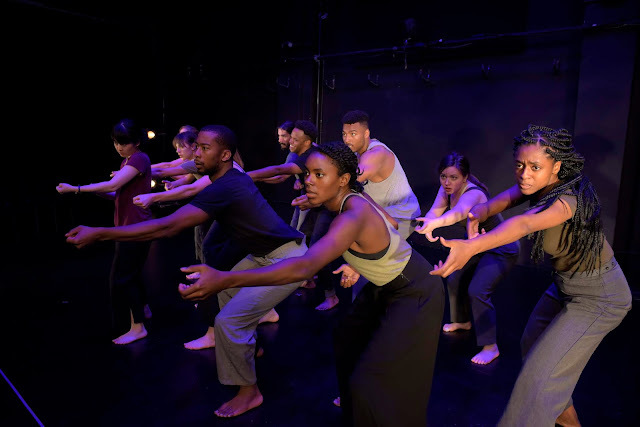 Lockwood has performed at A.C.T. for nearly 30 years, including 14 seasons of A Christmas Carol. We sat down with Lockwood to hear more about what it’s like to integrate a familiar role into an ever-changing cast. How does it feel to return to the same role every year? Like getting in touch with an old friend? From the grid of The Geary descends a mirage in white—the Ghost of Christmas Past. 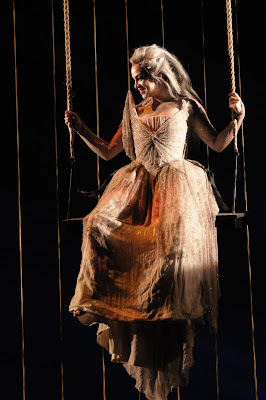 Perched on a trapeze swing, this spirit almost appears to glow. 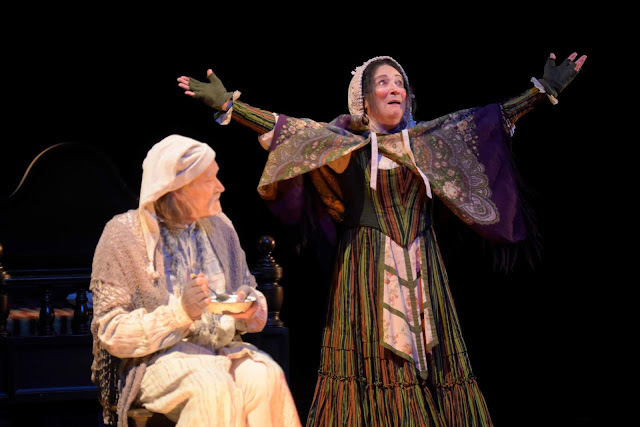 What the audience in The Geary won't know is that, like the varying adaptations of Dickens's classic novella, the costume for this ghost continues to evolve for a new generation. When A.C.T. mounted this adaptation in 2005, designing the costume for the Ghost of Christmas Past posed an unusual challenge. In the original book, says A.C.T. Costume Director Jesse Amoroso, the Ghost is described in an ethereal but contradictory way: old and young, worn-down and sprightly. The Ghost is depicted as androgynous, says Amoroso, and like a candle in constant flux. Their garb is described as wintry and yet light. 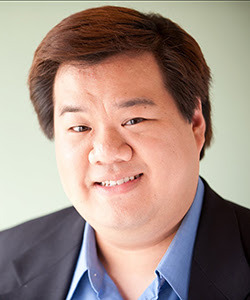 A call to action, to most magazine readers and television watchers, is a familiar sales technique—inspiring people to take the next step toward supporting a cause or campaign. But for 45-year-old US Army Reserve officer Anthony Alfidi, the call to action was literal. It came in early 2009, when Alfidi was called up by the US Army for action in Iraq. 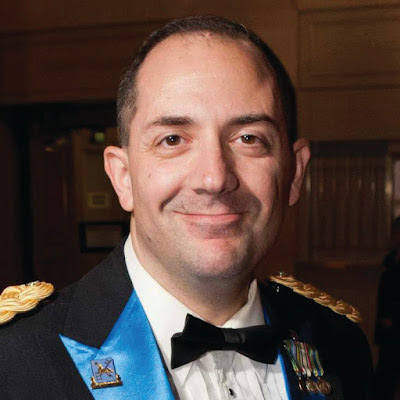 Before being mobilized for nine months in the Middle East in a military logistics unit, the army officer put his affairs in order. The process prompted him to consider the organizations he valued most, including A.C.T. Alfidi wrote A.C.T. into his will, becoming a member of the Prospero Society—a special group of theater-lovers whose members have committed to support A.C.T. either through a bequest or a living trust. “I’d like my estate to benefit as many people as possible,” he says. A Christmas Carol is a classic story, one many of us know well. But actor Cindy Goldfield may know it best. She's played or understudied all the adult female roles in A.C.T.’s adaptations—from Mrs. Fezziwig to Mrs. Cratchit to the Ghost of Christmas Present. She most often plays Charitable #1, a role she loves because of its dynamic story arc. As Goldfield prepared to return to this cherished character, she shared about how the often-told story retains its sense of newness. How does it feel to return to the same role year after year? 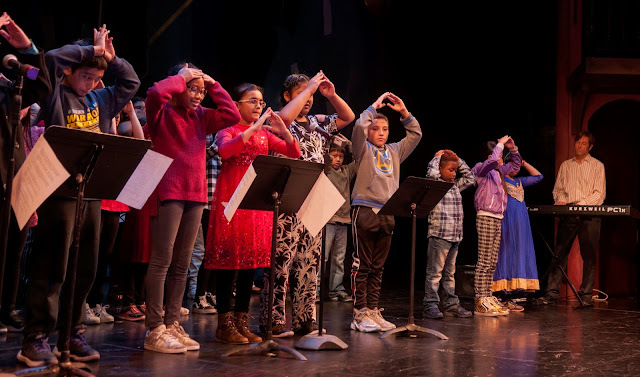 If you find yourself in The Geary Theater anytime during the run of A.C.T.’s A Christmas Carol, you may find yourself in an Arctic flurry (though you won’t need to bundle up to deal with this snow). A.C.T. 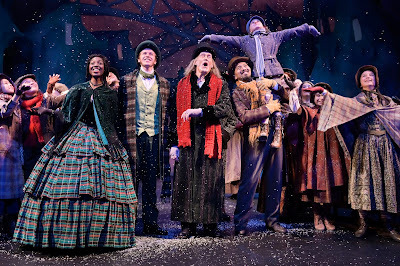 is lucky to host a version of Charles Dickens’s Christmas Carol where snow falls from the theater’s rafters. Do we cut a hole in the ceiling of The Geary and let actual snow fall on the audience? Do we hire Jack Frost? As impressive as that would be, the real answer is even more magical. Four years ago, A.C.T.’s backstage crew took on a huge challenge for Carol: making snow fall onstage. The snow could not be made out of anything water-based, as it would make the stage slippery for actors and could damage costumes, set pieces, or lighting and sound equipment. Painting snow in a set would work but does not create the 3-D effect of real snowfall. Four boats. Ten men. Ninety-nine days. One thousand miles. 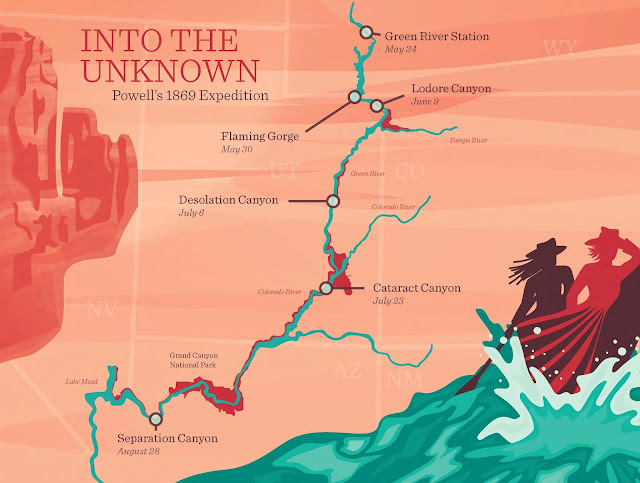 John Wesley Powell’s expedition through the canyons of the Green and Colorado Rivers—which Playwright Jaclyn Backhaus has staged in Men on Boats—has gone down in history as one of the defining heroic narratives of the American West. Yet, when he and his crew set off from Green River Station in the Wyoming Territory on May 24, 1869, they were unknown, and more hodgepodge than heroes. No one—except for Powell—had any river-running experience. The expedition had no federal funding, and there was very little attention from the press.